Mega Sale! Free Shipping Included! 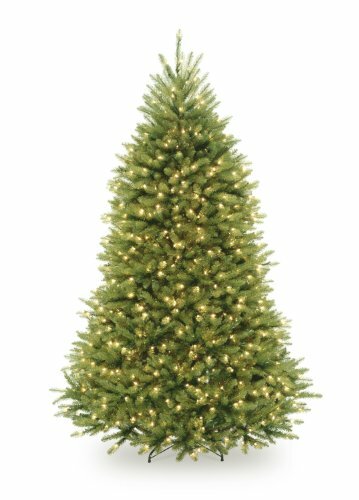 Save 21% on the National Tree 6.5 Foot Dunhill Fir Tree with 650 Clear Lights (DUH3-65LO) by National Tree Company at Two Clock. MPN: DUH3-65LO. Hurry! Limited time offer. Offer valid only while supplies last. This Dunhill Fir tree, pre-strung with a generous number of clear light bulbs and featuring hinged branch construction, assembles quickly and easily. This Dunhill Fir tree, pre-strung with a generous number of clear light bulbs and featuring hinged branch construction, assembles quickly and easily. With over 1800 branch tips, there is lots of room to display holiday ornaments. 51" Diameter at base, includes metal tree stand.